These are the elements that define us as a community and give us a sense of belonging. 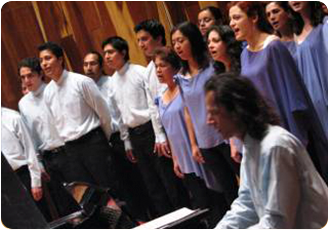 Through music, the university community has highlighted the values and pride they take in being part of the University. 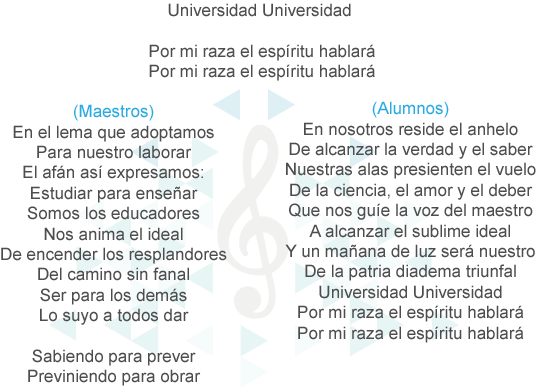 The University Anthem (lyrics by Romeo Manrique de Lara and music by Manuel M. Bermejo) was declared the official anthem of the university by Director Nabor Carrillo (1953-1961) The Anthem is meant to be sung by a choir of professors and students. The origins of the Goya cheer are a little bizarre. In the early 1940s, a very skinny boy, Luis Rodriguez, was attending Preparatory School, who through time became the most enthusiastic cheerleader. He was nicknamed “Palillo” (stick). The movie theaters close to the Preparatory school were: Rio, Venus and Goya. 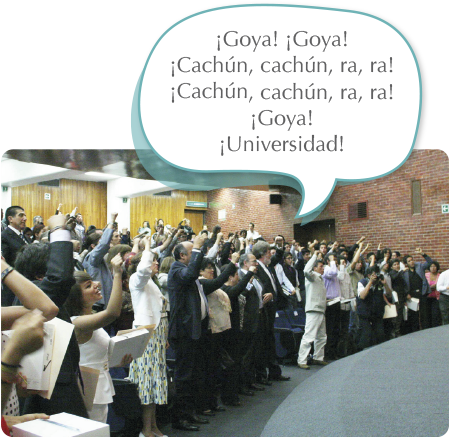 When some students wanted to go to the movies, they shouted out Goya! That is the story behind the university cheer, which now all university members echo. 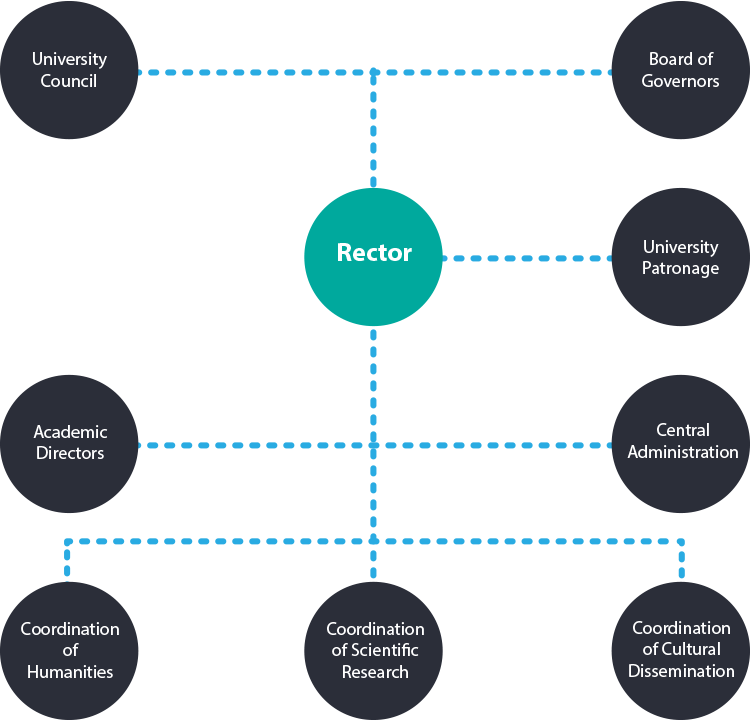 The National Autonomous University of Mexico restored the use of the toga as a university academic investiture, representing the different honors and degrees given by the institution. Wearing the gown is required by rule during certain celebrations of the University. Those with the right to wear a university toga are the Board of Governors members, the Rector, the Secretary General, the Attorney General, the University Board of Trustees members, deans of the undergraduate and postgraduate schools and institutes, the technical boards of the colleges and schools, coordinators for research on science and humanities affairs, the professors and researchers emeritus, the winners of the National University Award, the postgraduate students and PhDs, the tenured professors of schools -postgraduate and undergraduate–, and individuals attached to some research institutes, as long as they hold at least a high school degree. 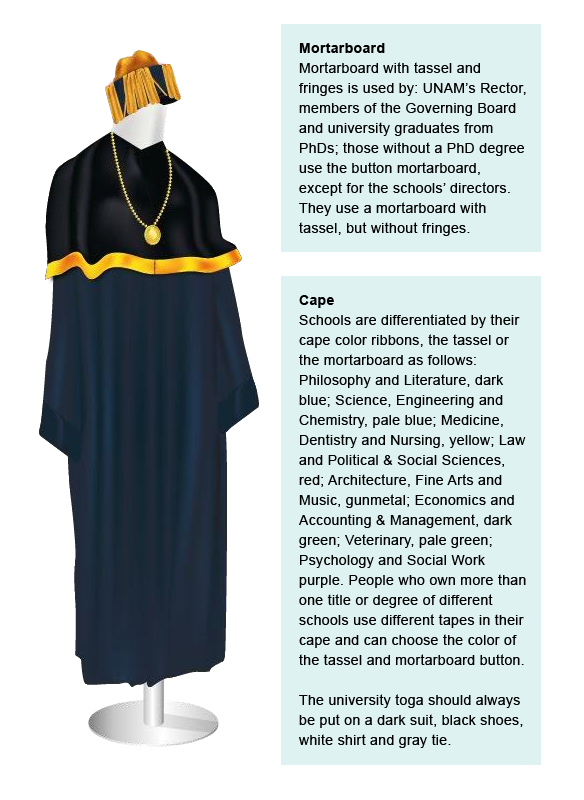 The toga includes a cape, a hood and a mortarboard. 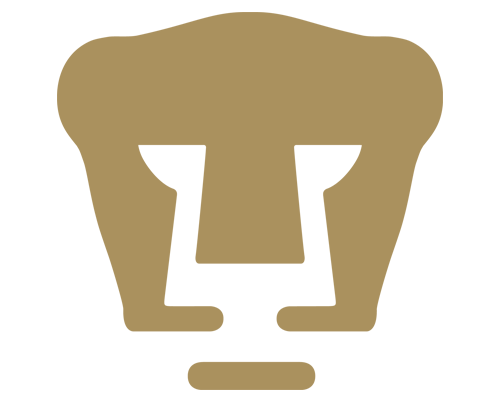 It is the university sport’s logo, and an example of a simple and functional solution to a difficult problem of graphic representation. The PUMA summarizes in one expression two contradictory elements, the letter U, in a geometric abstract shape, along with the puma face, a figurative form, although stylized. Manuel Andrade Rodriguez, alias “El Pajarito Andrade” was the creator of this design. 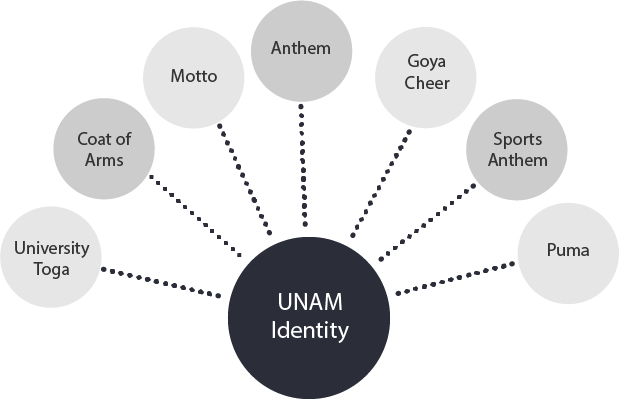 This UNAM sport symbol became an icon, easy to remember for the student population, and easily to reproduce. 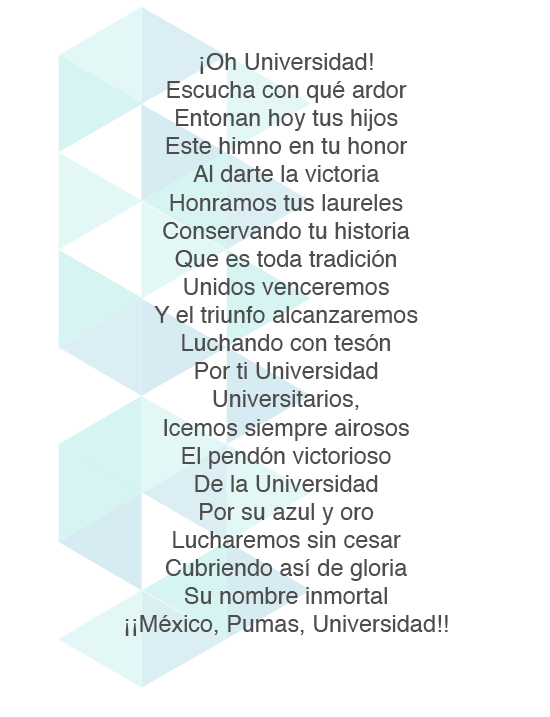 The PUMA design has two changing elements, the blue and gold colors, which represent university sports, and the puma itself, designed to be stylized and thus integrated in one synthesis where UNAM is represented as well. Alberto Ken Oyama Nakagawa, PhD. César Iván Astudillo Reyes, PhD.